Selecting a warehouse management system can be a complicated and daunting process for any supply chain manager. Getting it right carries with it kudos and positive results. Getting it wrong leads to consequences that can stunt a career. So, how do you set yourself up for a successful procurement cycle? 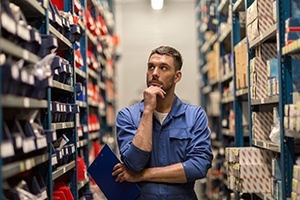 Read our white paper to learn the key steps for evaluating warehouse management systems, with some tips to help you focus on what's most important.